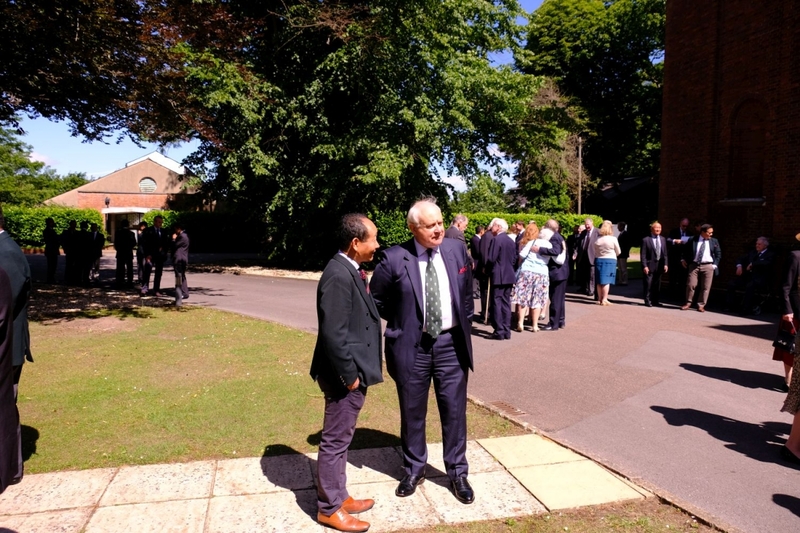 Serving members of the Brigade of Gurkhas, veterans and members of the Brigade Association came together on 10th June 2017 at the Royal Military Academy Sandhurst (RMAS) for the the annual reunion church service and lunch. The church service commenced at 1100hrs with approx 300 members in The Royal Memorial Chapel Sandhurst where the service was led by The Reverend David Crees MA BSc CF (Academy Chaplain) and The Reverend Peter T Clemett BA (Honoary Chaplain, Gurkha Brigade Association). When the original Chapel, now the Indian Army Memorial Room) became too small to meet the needs of the Academy, a new Chapel was built in 1921 and over time extended, realigned and dedicated as the Royal military Chapel in 1937. 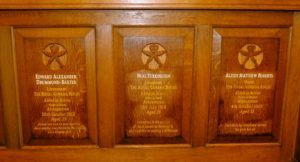 All the memorials within the Chapel are specifically for officers who were commissioned from the Royal Military College Sandhurst (as it was then) and who were killed or died on active service during WW1. The Royal Memorial Chapel continues to be a living memorial to those officers commissioned from RMAS and subsequently killed in action. 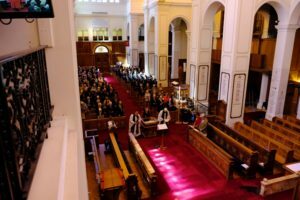 Following that tradition, at last year’s Annual Service of Remembrance attended by all Officer Cadets in the Royal Memorial Chapel, a service of Remembrance and unveiling of three Memorial Plaques took place in memory of the three Brigade of Gurkhas officer’ who were killed whilst on operational duty in Afghanistan. After the service the congregation stepped outside the chapel and formed up around the All Ranks Memorial situated directly opposite the main doors to the Chapel. 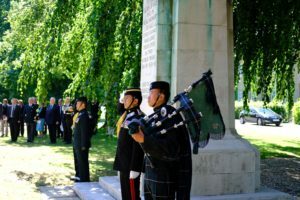 Here Lieutenant General Sir David Bill KCB read our Turner’s Tribute to the Gurkhas Soldier, followed by Colonel David Hayes who read out the Gurkha Collect followed by the names of all Gurkha’s who lost their lives in Afghanistan. Last post was sounded and a piper played a lament. Post the Act of Remembrance the piper led the way to New College for lunch and speeches. After a fine meal and time to catch up with old colleagues, Colonel David Hayes thanked all those for attending and gave a short update on the Brigade of Gurkhas. The Brigade Secretary Major (Retired) Nigel Carrick MBE was then presented with a Bronze Gurkha Statuette as this event marked his last as Brigade Secretary.